ARE YOU READY for the new NIFF? We’re growing! This year, NIFF begins on Friday, March 22, 2019, with a formal, Red-carpet Premiere of the award-winning entries selected from the submissions to 6 different film genres. The festival will continue for an entire week, through Friday, March 29, 2019. More than 50 award-winning films will be shown at 6 venues in the Longview/Kelso area. Purchase a NIFF Pass and attend all the films. 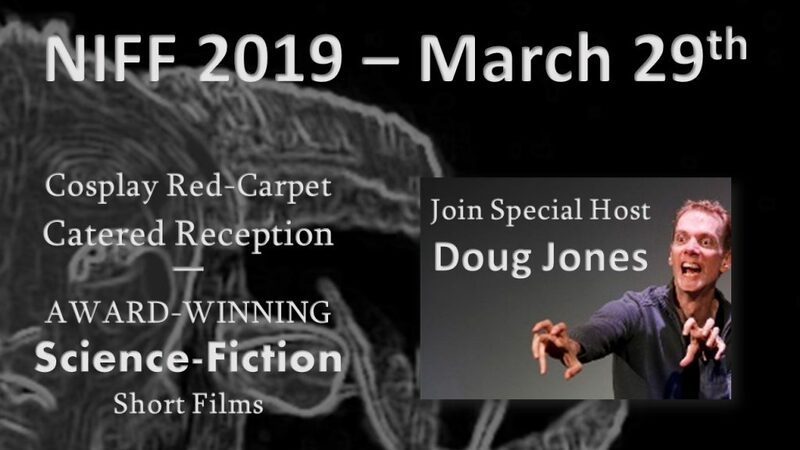 Winning science-fiction festival entries premiere at a Cosplay, Red-carpet event on Friday, March 29, 2019, at the Wallenberg Auditorium in the Rose Center for the Performing Arts at Lower Columbia College. Cosplay (science-fiction related costume) or formal attire is preferred but not required. Walk the red carpet with science-fiction characters and celebrities. The annual festival, now in it’s fourth season, accepts submissions of short subject films from all over the world. If you live in a 400 mile radius from NanoCon, submit your film under our “Local Artist” category. Local artists will receive the opportunity to host a panel at NanoCon Mk. VI and if you win in that category, you’ll be invited to have dinner with the NanoCon Team and our Guest of Honor.